On bestsampleresume.com, you will find free resume samples for different job needs. Apart from giving you ready-made samples for the various posts, we also provide information and tips on how to write a particular job resume with the help of templates and examples, so that you can draft your copy on your own. Plus, we have templates and sufficient resume examples to clear all your doubts and give you the perfect way of writing all the documents that are involved in your job-hunting process. Resume writing is a skill, but unfortunately not everyone is born with it. Fortunately, this skill can be acquired by doing a lot of research. Keeping this in mind, we have made your job-hunting process easier by providing you career tips and job information along with samples of resumes, and cover letters. With this collection, we have made an attempt to make you an effective writer, who can comfortably write his job summary, skills and experience in the most appealing way. You may be an Accountant, Fashion Designer, Driver, Doctor, Teacher or any other imaginable professional, our writing team has made sure that you have a resume that is tailor-made just for you. Every job has different requirements, and that makes every resume different. If you are looking for a sample for a specific job, see the categories on your right hand side. Click on the particular section to view the examples for management, nursing, sales, teacher, acting, medical, lawyer, and others. Remember: Correct and effective resume is the key to getting the most awaited interview call. Writing a great resume is far from following specific rules and advice you hear from others. Some common notions like, it should just be a page long, etc. are misleading. Every resume is one-of-a-kind 'marketing communication'. It is a tool to sell your skills to the potential employer. Hence, it should be appropriate to the post applied for. Use the samples provided here to portray your skills, personality, and experience effectively. Let your creativity flow through you to make your summary of personal and professional history look unique. If you attach a crisp cover letter along with it, you can have yet another great selling point up your sleeve! Since resume has the power to make or break your chances of earning an interview call, you probably would have a lot of questions in your mind. To ease out the tension and answer all the questions, we have compiled a list of FAQs, which are sure to make your life easier. Here are some FAQs (Frequently Asked Questions) for you. Resume writing is a critical task. The examples provided here are easy to make your own, but what you need to keep in the mind is the essence, the purpose and the intention of writing. Obviously, knowing the do's and don'ts of writing your career synopsis will ensure that you craft a resume that is hard to be overlooked by your potential employers. Checkout our resume writing guide which will help you avoid the most common blunders that people unknowingly make. This guide is sure to make you understand the nuances of how to write effectively. Can You Give Some Resume Tips? Yes, we do. 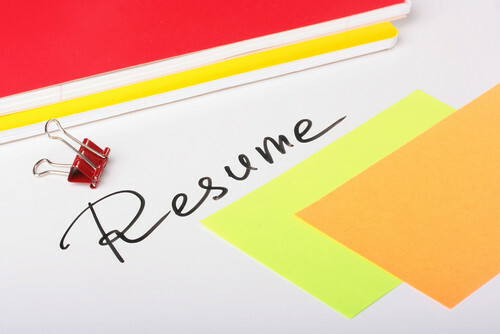 Please checkout our dedicated compilation of resume tips at our blog and articles section. Yes, we do provide them in our cover letter section. Note: You can also search for a resume sample through our search on the top right bar. Right from the time, you decide you want to look for a job till the time you get a job; we are well-equipped to help you with all the required information and tips that will make your job searching journey a pleasant one. The job of your dreams doesn't just land into your lap overnight, you need to work towards it step-by-step. You can be rest assured, we are here to help you every step of the way.